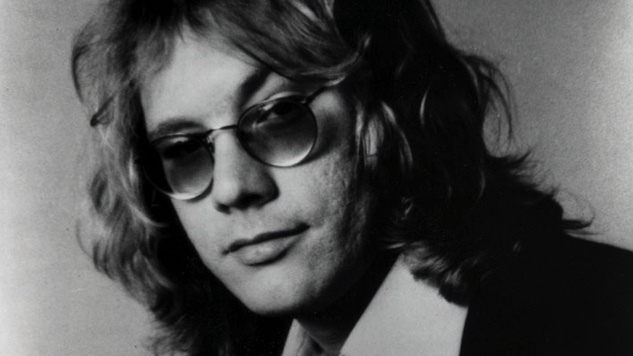 Does Warren Zevon belong in the Rock & Roll Hall of Fame? Well, there are two ways of looking at this. On the one hand, Zevon is more deserving than a lot of embarrassing selections already in the Hall: Kiss, Yes, Rush, Chicago, Journey, Bon Jovi and so on. On the other hand, Zevon is less deserving than some acts still waiting to get in: Chic, Radiohead, Whitney Houston, Gram Parsons, Graham Parker, the Replacements, the Meters and the Zombies. So let’s rephrase the question: What’s a proper evaluation of Zevon’s place in pop music history? Last week marked the 15th anniversary of his death at too young an age of 56 on Sept. 7, 2003. This summer James Campion published his critical biography, Accidentally Like a Martyr: The Tortured Art of Warren Zevon, a 290-page argument that the singer/songwriter deserves better from history than he’s gotten so far. In his gushing, heart-on-his-sleeve prose, heavy on first-person pronouns, Campion is trying to transform the standard critical take on Zevon: that the tremendous promise of his early work was left unfulfilled by his struggles with drugs, alcohol and self-aggrandizement. Campion doesn’t evade those struggles, but he argues that Zevon was able to use those challenges as the raw materials for some of his best work on his final records. Campion has some famous musicians willing to testify on his behalf. In 2004, the posthumous tribute album ‘Enjoy Every Sandwich’—The Songs of Warren Zevon featured contributions from Bob Dylan, Bruce Springsteen, Steve Earle, Jackson Browne, Bonnie Raitt and Ry Cooder, often performing songs from later in the songwriter’s career. The author calls on many of them and their peers in the book to bolster his case. In the end, though, Campion failed to persuade this reader. Zevon made one brilliant album, his 1976 breakthrough Warren Zevon, almost duplicated it on his 1978 follow-up, Excitable Boy, but never came close to such a triumph again. Individual songs stood out subsequently, but they were eclipsed by a lot of macho showboating, and the recycled musical motifs and underwhelming singing grew tiresome upon repeated listening. Zevon never lost his facility with words, but mere cleverness is not the same as great art. Campion undermines his own argument with the examples he selects. He justifiably raves about the lyrics in “Desperadoes Under the Eaves” (“Don’t the sun look angry through the trees? Don’t the trees look like crucified thieves? Don’t you feel like desperados under the eaves? Heaven help the one who leaves…. I was sitting in the Hollywood Hawaiian Hotel; I was listening to the air conditioner hum.”). But then he later extends the same enthusiasm for the much clumsier lyrics on 2000’s “Fistful of Rain” (“You can dream the American dream, but you sleep with the lights on and wake up with a scream. You can hope against hope that nothing will change; grab a hold of that fistful of rain.”). A more objective listener can’t help but notice that compared to the first the second song suffers from generalities, clichés and lazy rhyming. Campion devotes each chapter to a song—or sometimes an album—using that as a lens for examining a certain stage and/or a certain aspect of Zevon’s career. For example, the biographer uses “Desperadoes Under the Eaves” to examine both the events that led up to the 1976 eponymous disc and the colorful songwriting that gave the record its impact. Then Campion backtracks in the second chapter to examine Zevon’s pre-fame career as an L.A. session musician, jingle composer, songwriter, unsuccessful recording artist and eventually music director for the Everly Brothers’ touring band. To focus this chapter, the biographer uses “Studebaker,” a romantic ballad about an unreliable car, a song that Zevon never released nor performed live during his lifetime. And yet it still stands as Zevon’s most accessible, most pleasurable recording. It’s precisely because he didn’t take the song seriously that the singer was able to drop his pretentious posturing and artistic mannerisms and just have fun with his natural instincts for melodic hooks and irreverent satire. The fact that he never made such a carefree track again is a clue into his failure to deliver on his promise. This is where biography and art intersect. Campion is frank about Zevon’s weakness for alcohol, drugs, guns and womanizing. But he discusses these matters as if they were merely obstacles getting in the way of the songwriter doing his work. The biographer never recognizes the ways that weakness seeped into the work. But anyone who has spent much time around alcoholics and gun fanatics can recognize the macho bluster, self-importance and barroom boasting that increasingly informed Zevon’s work from Excitable Boy onwards. The singer had constructed a persona—that of a hard-drinking, gun-firing, thesaurus-toting wild man—and that character served him well in winning a following that remained loyal through the subsequent years of sporadic and uneven albums and tours. Campion is a loyalist of the first rank, and he’s willing to overlook the ways that Zevon got trapped in that role. But he did and before long, he was willing to merely evoke that guise in a song without exploring it. His decline wasn’t sudden, and it was never complete. For all its flaws, Excitable Boy was a nearly great album, containing not only “Werewolves” but also Zevon’s most heartfelt ballad (“Accidentally like a Martyr”), his best historical evocation (“Veracruz”) and the funkiest track he ever released (“Nighttime in the Switching Yard”). It was mostly downhill from there. Zevon did have a knack for writing good songs about athletes, such as baseball pitcher “Bill Lee,” boxer “Boom Boom Mancini” and the fictional hockey player in “Hit Somebody.” And every album seemed to have one or two flashes of the old talent. But even when he wrote a song as promising as “Reconsider Me,” “The Indifference of Heaven,” “Splendid Isolation” or “I Was in the House when the House Burned Down,” he often undermined it with a poor performance. His pitch was unreliable, and his stiff march rhythms reinforced an unfair stereotype about white people. And the majority of his later songs were variations on the theme of complaining about his fate as a kind of macho bragging. Campion’s is the third book about Zevon, following 2017’s academic study, Warren Zevon: Desperado of Los Angeles, by George Plasketes, and 2007’s oral history, I’ll Sleep When I’m Dead: The Dirty Life and Times of Warren Zevon, organized by ex-wife Crystal Zevon and often referred to by both Campion and Plasketes. Neither Campion nor Plasketes interviewed Warren Zevon, so his voice occupies a small place in their books. So what is Zevon’s proper place in pop music history? He was too talented to be forgotten, and too self-sabotaging to be lionized. Warren Zevon and Excitable Boy are still worth hearing, but the other albums need to be stringently cherry-picked. In the end, Zevon is overshadowed by two other misanthropic, piano-playing singer/songwriters who were working in Southern California at the same time he was: Randy Newman and Tom Waits, both deservedly in the Rock & Roll Hall of Fame. The songs of Newman and Waits sound timeless today, while Zevon’s sound like artifacts of a particular time and place—a Carter/Reagan-Era L.A. warped by alcohol, cocaine, gunpowder and testosterone. Watch Warren Zevon perform at the Capitol Theatre in Passaic, N.J., on Oct. 1, 1982, below.